If you're looking for inspiration for your next home improvement project, browse through the LoveToKnow Home Improvement slideshows. These visually pleasing slideshows can help you decide what project you'd like to get started on. You probably already know that your home could use some improvements, but until you see an example of what your home can become, you may not know where to start. That's where slideshows come in handy - you can see a wide variety of options to inspire you. Whether you're looking to spruce up your interior paint or you are ready to invest in a swimming pool and want some inspiration for designing a beautiful pool, you'll find great, visual ideas. Second only to kitchens, bathroom renovations are among the most common home improvement projects homeowners tackle. Choosing a new bathtub is easier when you can browse images of the latest designs. Get inspired with images of bathroom tile designs. Decide if vinyl flooring is right for your new bathroom look. Your renovation will go smoother when you don't have to spend a great deal of time with a designer trying to decide on your ideal look. If you can instead go into the project knowing exactly what you want, it takes away some of the potential headache that can be associated with a bathroom renovation. A kitchen renovation can be a major endeavour, but it can also potentially increase the value of your home substantially. It's one of the busiest rooms in the house, so it makes sense to want it to be an inviting space. A new granite countertop can elevate the room as can a new paint job. Have a look at some ideas for kitchen lighting. Look at backsplash designs to better visualize your dream kitchen. Perhaps the beautiful images will inspire you to handle the project yourself, especially if DIY is your style. Are you ready to join the tiny house craze and want to review some options? Does the idea of an outdoor fireplace inspire you to start planning a project? If it's time to refresh the interior of your home, photos of textured interior walls may help you decide on your first project. Even if a new driveway or a renovated attic is what you're looking for, inspiring images can be found within these slideshows. 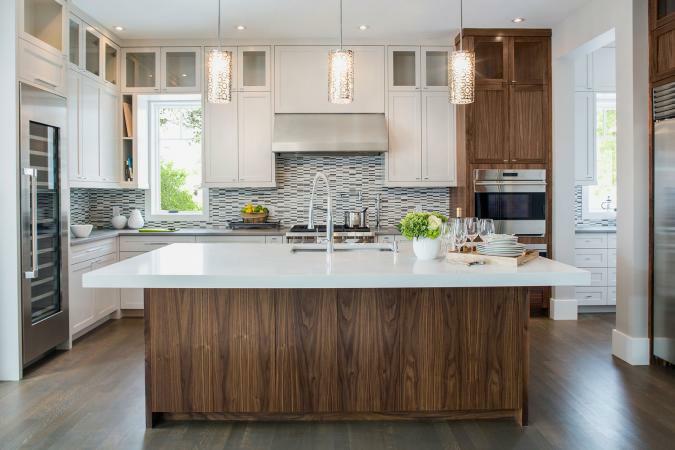 You never know what will catch your eye as you peruse this collection, but it's likely to help guide you in your renovation plan.